For professional plumbing and heating services you can trust, turn to Sierra Mechanical Limited, your HVAC and plumbing contractor based in Delta. Our locally owned and operated business has served Delta’s residential and commercial properties with professional and personal service since June of 1998. Plumbing, heating, gas fitting and backflow testing are our main areas of focus. We provide installations, repairs, and maintenance. No job is too small for our team to handle. We serve Tsawwassen, Ladner, North Delta, Richmond, Vancouver, New Westminster, South Surrey and White Rock. We take pride in offering a reliable plumbing and heating service every time. Our goal is to work a job only once, completing it correctly and in its entirety the first time, never taking short cuts. This saves you the hassle of scheduling multiple appointments for a problem that should only take a day to fix. Schedule an appointment with Sierra Mechanical Limited today! Ask about our rebates and energy incentives to save money and reduce your impact on the environment.
" Graham at Sierra Mechanical is thorough, reliable, and professional and gets the job done. He is always our first call whether it be a plumbing or heating issue. Excellent service! 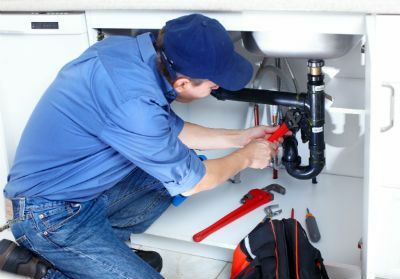 We highly recommend Sierra Mechanical "
Your first choice when it comes to your plumbing needs. We handle complete installations for new and existing homes. We install natural gas appliances for your homes and businesses.